Metrics from Coda Hale is a wonderful library to ease the monitoring of the performance of your code. It gives you tons of metrics directly via JMX, logs or CSV files. 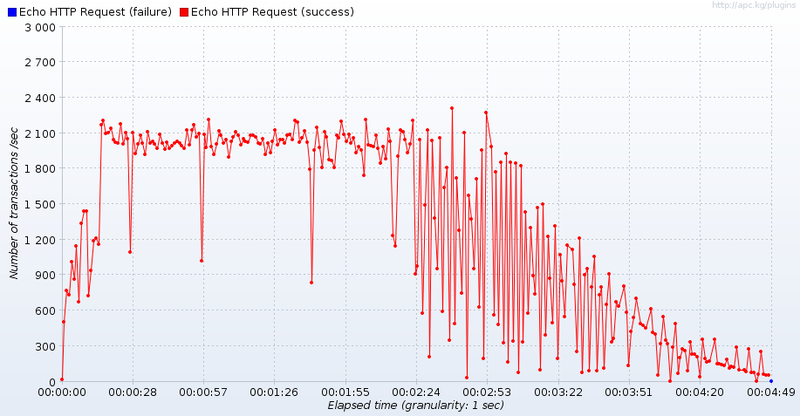 * the timer for monitoring incoming HTTP POST requests. This code instantiates a new Timer where duration is measured in milliseconds and rate in seconds (to compute request per second).